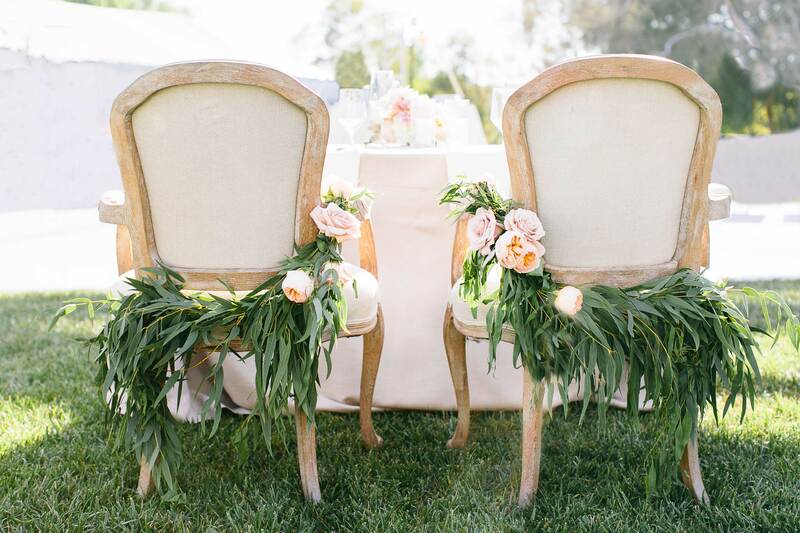 Beautiful bloom configurations for reception chairs that you'll swoon over. 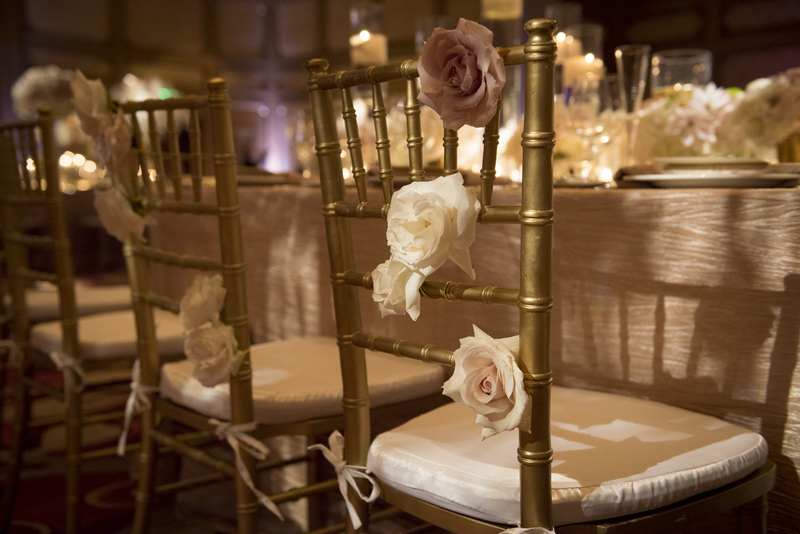 Using flowers in new and innovative ways throughout your wedding décor can be seen as a difficult feat. 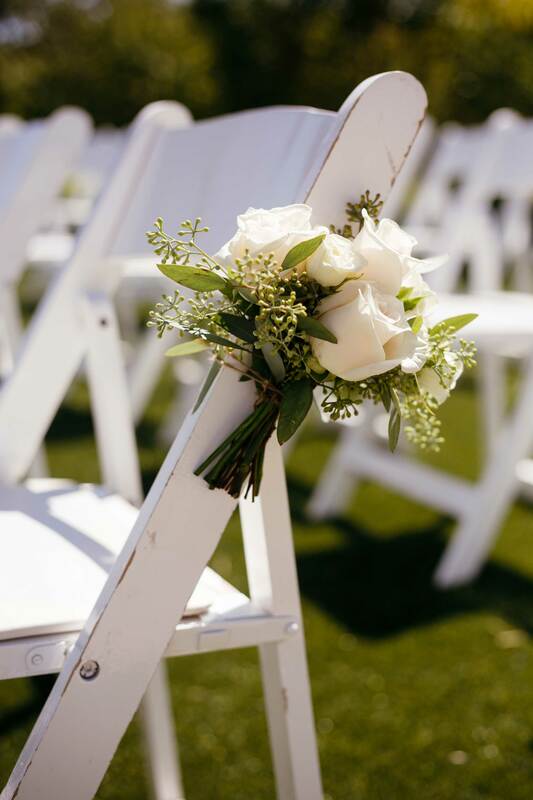 Weddings have included floral arrangements for decades, and though it might seem that all of their uses have already been discovered, you may be surprised at how small details can make an event unique. 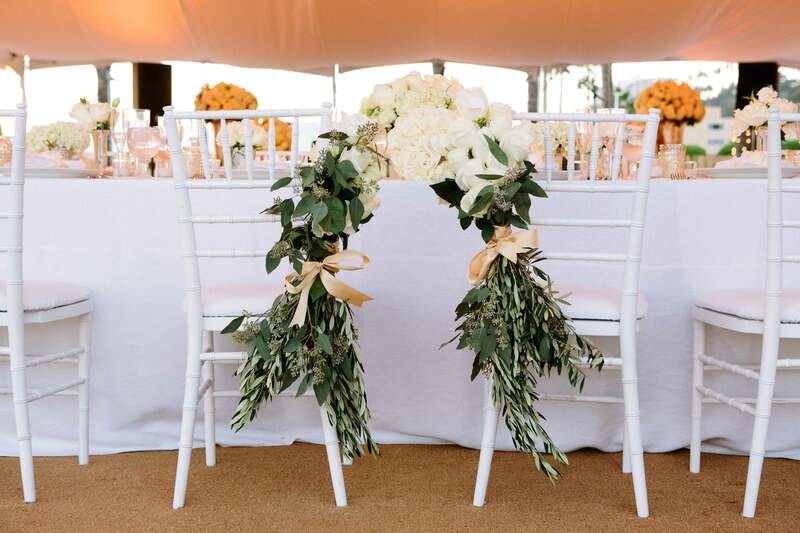 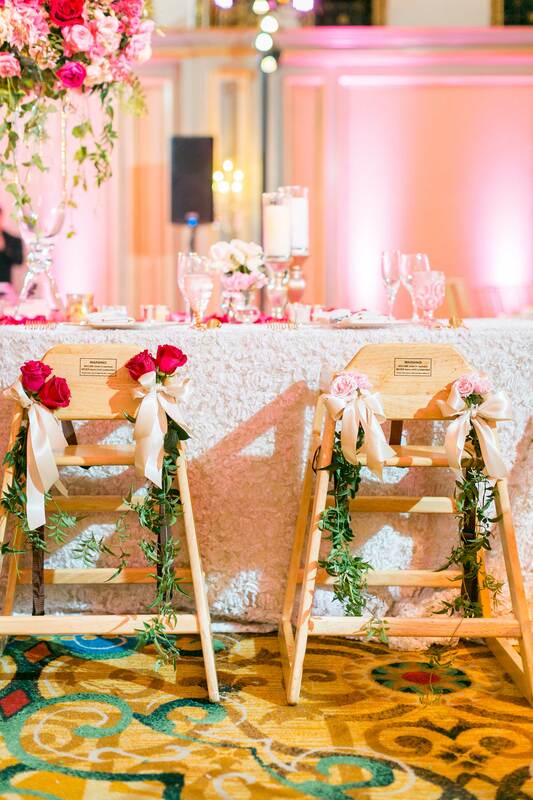 Engaged pairs have been getting quite crafty with their floral designs in the last few years, and one of the most interesting trends is the concept of fresh flowers displayed on ceremony and reception chairs. 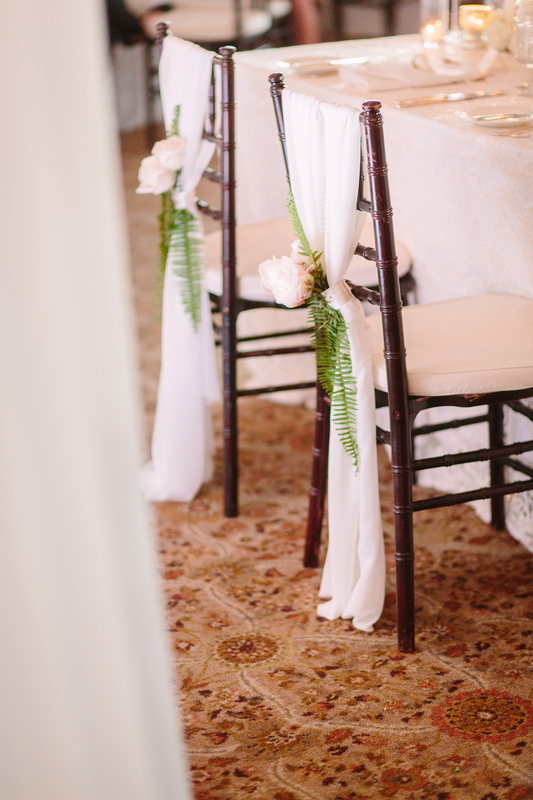 Despite what you may think, this sweet addition to your décor has the ability to blend with any kind of wedding motif. 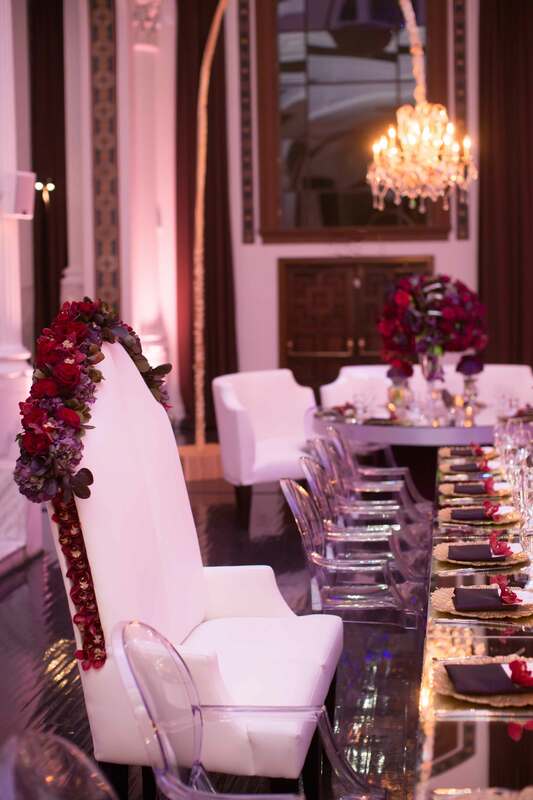 From a glitzy city affair to a chic country celebration, flowers transcend “themes” quite easily. 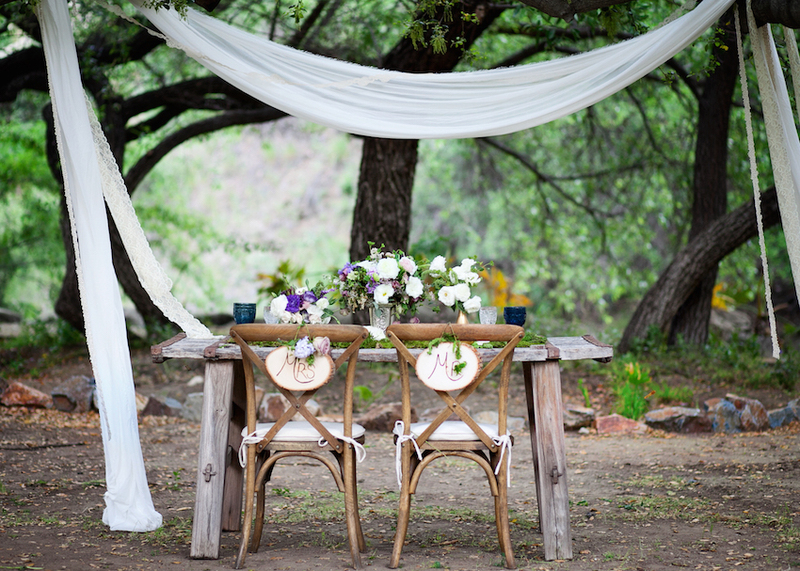 To garner ideas for your wedding, review the pictures below, all from real weddings and styled shoots. 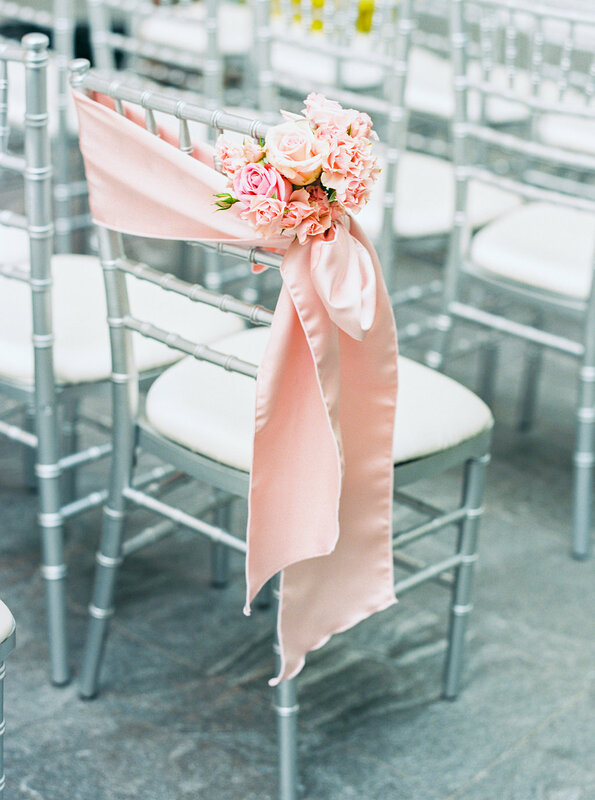 Click on each photo for further inspiration! 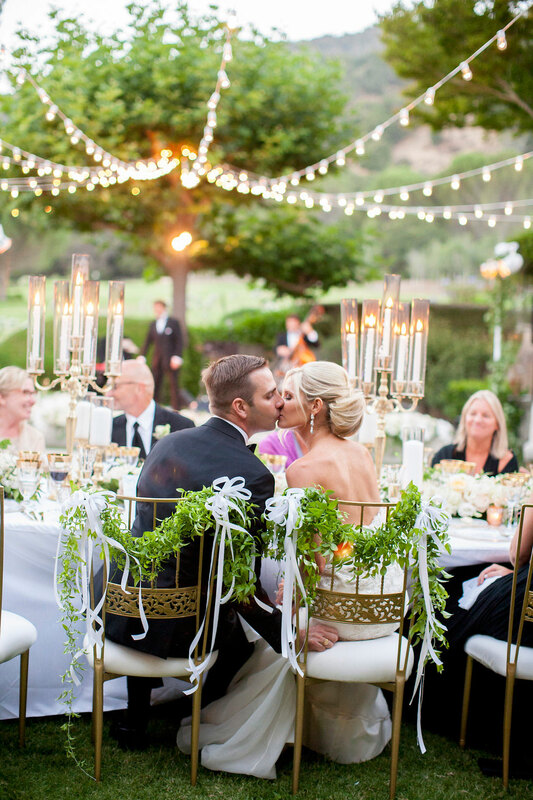 Find out how to use small succulents throughout your nuptials, see striking examples of suspended floral fixtures, and prepare to swoon over eight gorgeous cascading bouquet styles.